Only on the basis of some odd correlation, all cholesterol-lowering drugs were approved. Subsequently, these drugs entered the market and were publicised among the masses, keeping an account on observations and outcomes on the patients. Now, this started sometime between 1940s and 1950s, when the death rate from heart attacks was higher. A renowned nutritionist and scientist named Ancel Keys was given the responsibility by the US government to find out the cause behind heart attacks. And the amount granted for the research was huge — approximately 20,000 million dollars. This took the scientist many years of hard work to collect data in support of his research. Finally, in 1975, he presented his work through a graph plot of seven major countries; this was referred as 7-Countries Study. He reported, “The population with lowest dependency on fats and cholesterol had lowest death probability by heart attack.” In simple language, death rate is lower if the cholesterol is lower. Conversely, the population with high dependency on fats and cholesterol had higher death probability by heart attack! Hence, for the first time, a new theory was accepted worldwide; high cholesterol or fat meant more diseases and low cholesterol or fat meant less diseases! Let’s assume the above report to be meaningful and begin with a new research. Let our research co-relate the number of deaths and the color of hair of the deceased people. For this study, we will try to find the number of deaths with white hair and no-white or black hair! So, if we find that the maximum number of deaths had white hair, then we shall conclude that white hair cause death. Subsequently, on the basis of our research and conclusion, we further present and recommend Black Dye to the masses, so as to retain black hair and reduce the chances of death! Try to understand that, it is obvious that most deaths will have white hair, hence they can be co-related. However, correlation cannot be the true cause; though may be a parallel cause but not the actual one! Likewise, it’s possible that the cholesterol is higher along with some heart disease like an aged person gets white hair and possibly dies. So ironically, if we artificially color the person’s hair black then it will not decrease his age, so, how correlation is the cause! READ | Is it the Medical Science we rely on…or it’s a Medical Culture!! Understand, medical science is based on assumptions, as for them, high cholesterol means high death rate, while low cholesterol means lower death rate, so, to lower the death rate lowering the cholesterol is a suitable goal. Therefore, only on the basis of some odd correlation; all the cholesterol lowering drugs were approved. Subsequently, these drugs entered the market and were publicized among masses, keeping an account on observations and outcomes on the patients. Like in our assumed theory, we marketed black dye, open for public use and observe its effects on death rate. The period of observation will be approximately 10 years, as followed in research studies. On the basis of the response throughout these years; we shall certain the required amendments. In the meantime, the people who are our resources for experiment will keep on using black dye or ‘cholesterol lowering drugs’ and the positive or no-effect or in some cases even negative effects will continue. This is, what is Medical Science, though I call it as Medical Culture! The trials for cholesterol lowering drugs were carried out in many countries that too for several years. The prime motto was to observe the difference between two groups. One of them was drug-dependent, while the other being drug-independent. 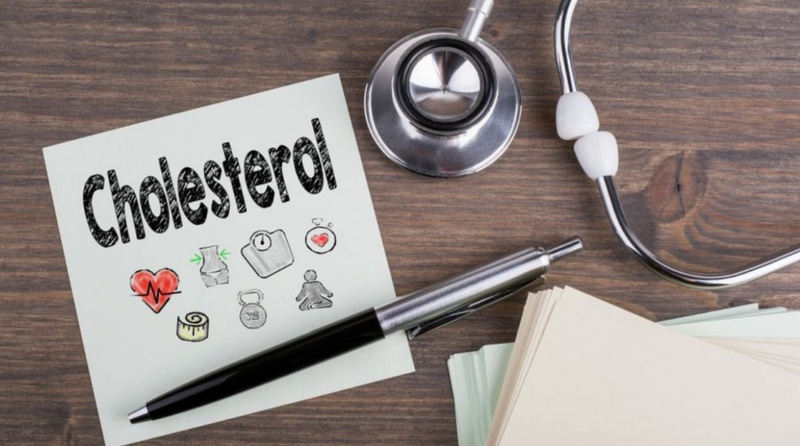 READ MORE | Cholesterol — for a new life? The major trials considered by the FDA were – LIPID 1998, WOSCOPS 1995, CARE 1996, Plac-1 & Plac-2 in 1995, Regress 1995, and KAPS 1995. However, each drug-dependent individual had his own share of losses through the drug side-effects. In fact, every drug-dependent individual will suffer from minimum 2 side-effects of the drug like bronchitis, anxiety, sleep-disorder, chest pain, cough, recurrent viral infections among other ailments. These symptoms further burden the health of the drug-dependent person and are often left untreated by the doctors. Besides, how can we certain that the one heart attack saved among the drug-dependent group was definitely due to the cholesterol lowering drug or for some other unevaluated reason. This in itself is a big question that goes without any answer or any research! Nobody on this earth needs to die or live with diabetes Is it the Medical Science we rely on…or it’s a Medical Culture! !